The victory of the Saints stands as a reminder for us. For just as Christ sustained the Saints in their trials, so God will also walk with us. They inspire us to keep our eyes fixed on Jesus as we encounter the obstacles of life…so that one day we will join their ranks in Heaven. 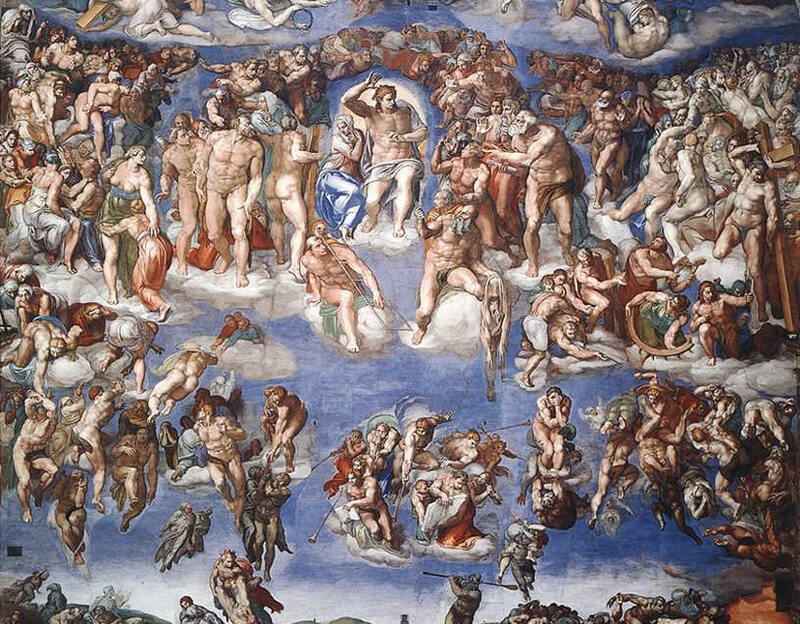 The Last Judgment, Michelangelo, 1536-1541, Sistine Chapel, Rome. When athletes compete in a stadium, the cheering crowd inspires and encourages them to do their best. In a similar way the saints inspire us with their example – they cheer us on from Heaven – and at the same time remind us that we can join them as we embrace the challenges of this life with our eyes fixed on Jesus…our coach, trainer, medic, and greatest fan.